Taylor Swift signs deal with major label! Taylor Swift has signed a record deal with Universal Music, despite never being with a major music label before! It may seem hard to believe but pop and country icon, Taylor Swift, has finally signed her first record deal with a well-known label company after 14 years of performing. Everything that Taylor Swift has released in the past has been associated with the independent label, Big Machine, who specialises in country music and have been working with Taylor Swift since she was just 14 years old. Taylor Swift, who is now 28, will release her music with label Universal Music Group who have notably worked with many artists such as 5 Seconds of Summer, AJR, Ariana Grande and long-term rival, Katy Perry. She announced this news by releasing a photo of herself with Universal Music Group bosses Monte Lipman and Lucian Grange. This deal boasts a nice bonus, as she will now own all of the music she records and this allows her to earn more money from sales and streams of her songs. She has also brought good news for other artists who are signed with Universal as she has persuaded them to agree to repay their artists with all of the money that they make from streams on Spotify. This already comes after she persuaded Apple Music to change how they pay artists back in 2015. Swift has said that she sees this as a "sign that we are headed towards positive change for creators"
It was only last September that Swift was named the second most influential female in music, coming in just behind Beyonce, achieving this award due to her endeavours to be "unafraid to take on big brands and call out injustice" and this has again shone through with her negotiations with Universal Music Group. It is important to note that this deal does not only benefit her massively but also looks out for her fellow creators. Although the figure has not been shown yet, it is likely that she will become a lot wealthier through this and it causes her to be seen not only as a talented and successful artist but also as a businesswoman. Monte Lipman, who manages Universal, said that Swift has "redefined the paradigm of the music industry" and Lucian Grange added that "She can achieve anything". 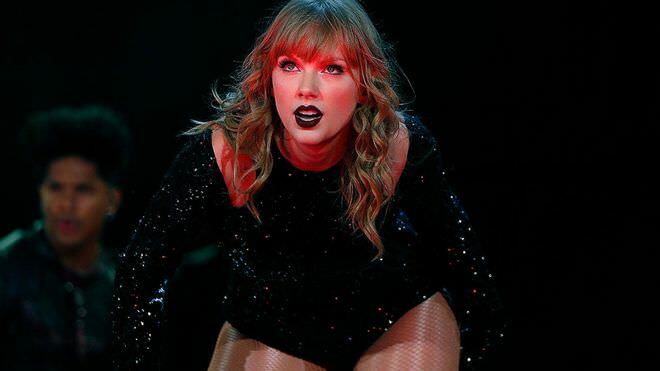 Reputation, which was Taylor's last album with Big Machine, sold 4.5 million copies when it was released in 2017 and we can expect this number to increase a lot by being helped by a big label with a big budget. Some fans have disagreed with her move though, saying that it sells out a smaller label in favour for more money. do you think swift should have moved label? does it ruin all that big machine did for her?